A deep, soft and extremely comfortable armchair in brown faux leather with a hidden secret. 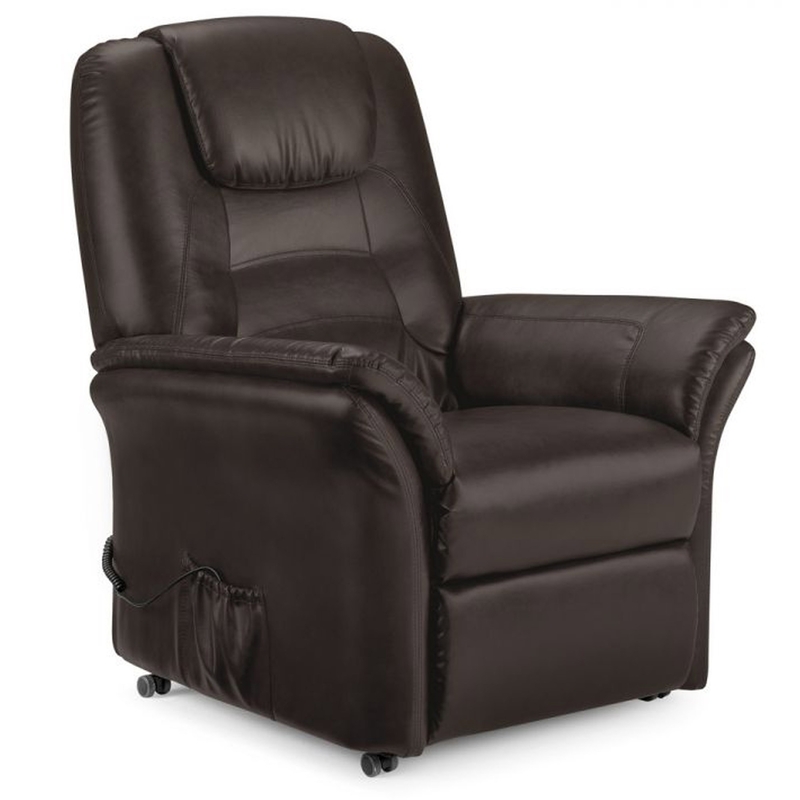 A motorised mechanism provides a helpful lift out or relaxing recline position at the touch of a button. Perfect for providing comfort in your home, this chair will astound.